Monday: After a gorgeous day, it started raining and snowing by the time I finished work. I think they said it best in “A fish called Wanda”: DISAPPOINTED!!!! 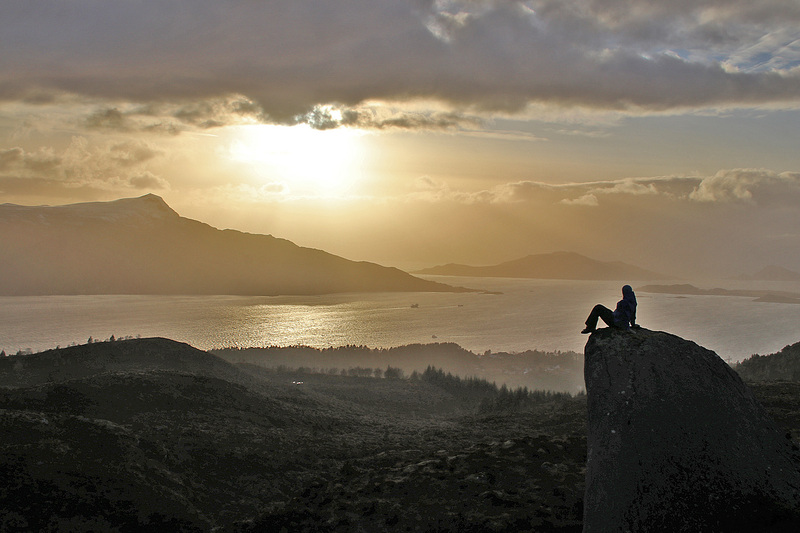 The best inspiration for getting out in such weather, is to go a place you’ve never been before, and that you’ve been thinking about for a while. For me, the time had come to visit Kyrkjehornet near Larsnes. It’s just a hump, but it’s a hump with a name and I try to visit those too. Anne didn’t have her best trail day today, but came along. 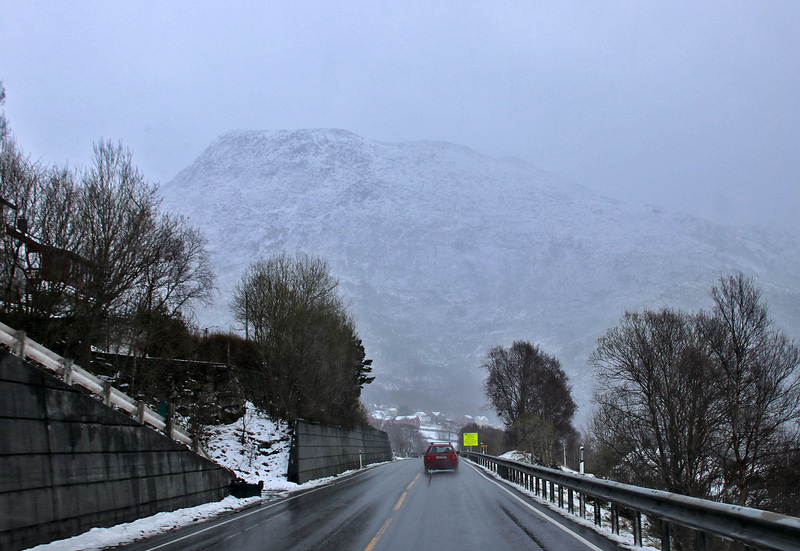 We drove to Larsnes and noticed to our great pleasure that the weather was much better on this side of the island. We continued up to Dalen where we parked. 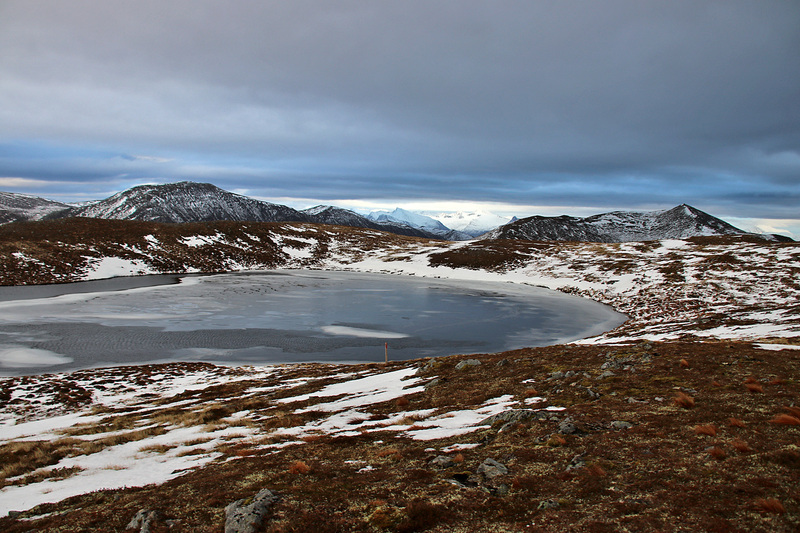 We had been here in 2013, and we both remembered visiting the frozen lake Nyksvatnet, but none of us remembered the trailhead. I did remember a Gapahuk, but assumed that we must had started from Kvalen back then. Instead of following the tractor road up from the waterworks building, we crossed the valley and headed for Kleivahornet and Kyrkjehornet. On the ridge, we found a path that we left just before Kleivahornet. From Kleivahornet, we continued towards Kyrkjehornet and I made a mental note about visiting the Bjørkhornet hump one day. Straight up from Skredestranda. Anne was really low on energy, so I decided to make this a short trip. It would have been nice to do a longer hike, but I could always come back for another visit. 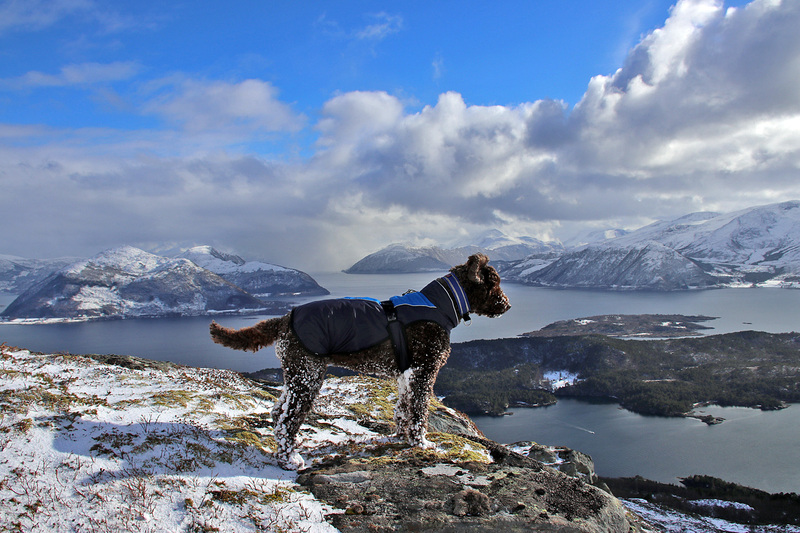 The view from Kyrkjehornet was quite good! 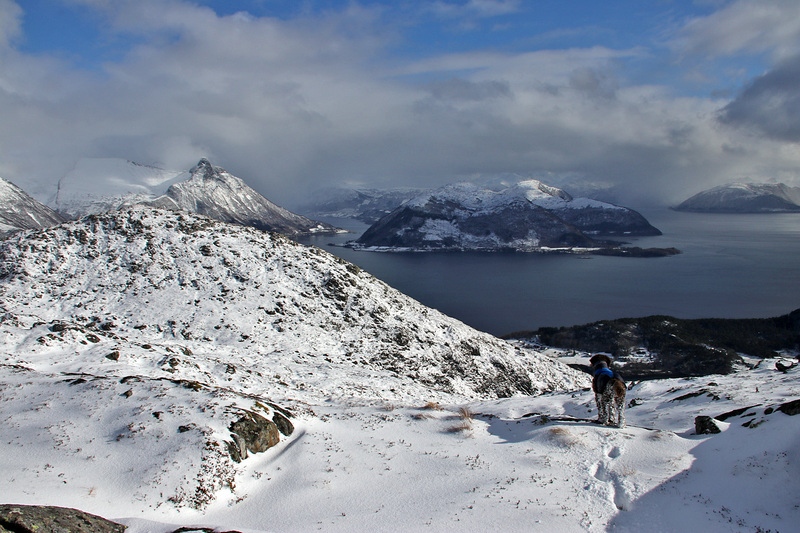 Instead of going back the same way, we headed north up to the ridge on the west side of lake Nyksvatnet. Here, we found a cool rock and just had to stop for pictures. We continued to the creek from lake Morkavatnet, and eventually found the Gapahuk that I remembered. From here, we followed the tractor road back to the car. A short, but really nice round trip hike! Tuesday: No hike today, unfortunately. 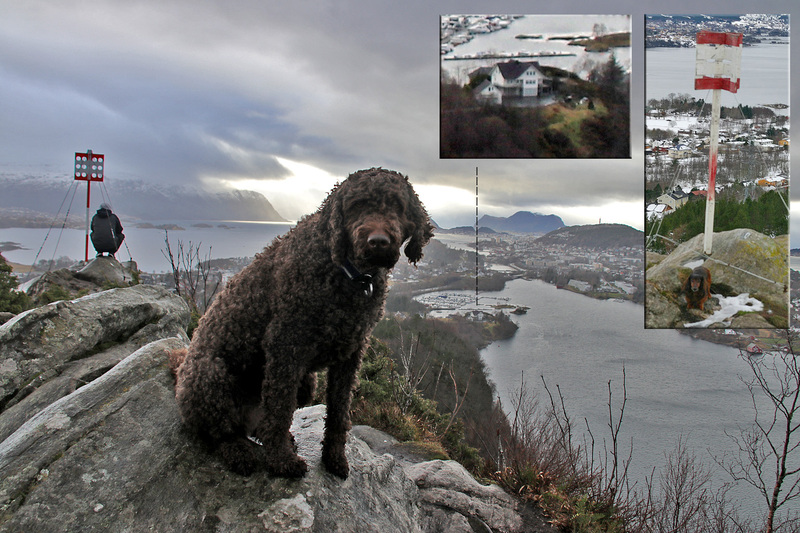 I was going to visit my former “landlord” from the time I lived in Ålesund (2006-2008). I had some really, really good years in that flat and it’s always nice to come back. It’s been many years since I met Pål and Eva at the same time. 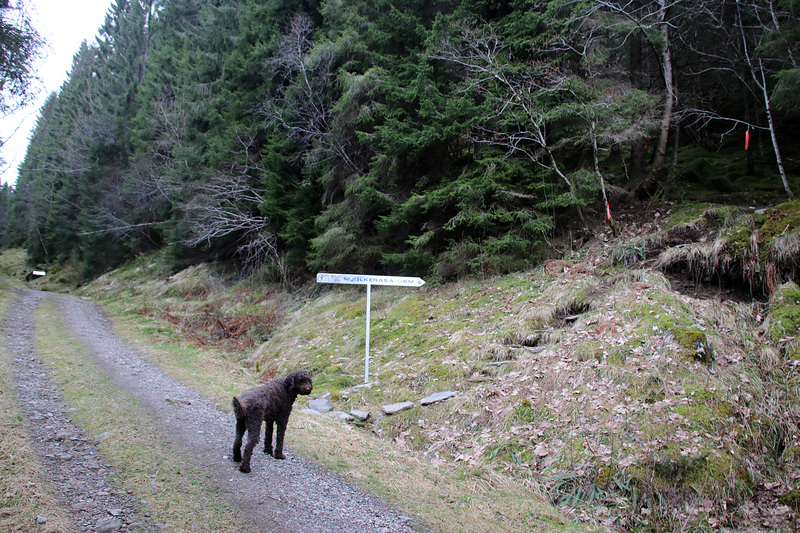 As Pål wasn’t home until 5pm, I had some time to kill and it was quite natural to walk the dog on the nearest hill – Høgenakken. A place I’ve been to many times, but with my former dog Troll. 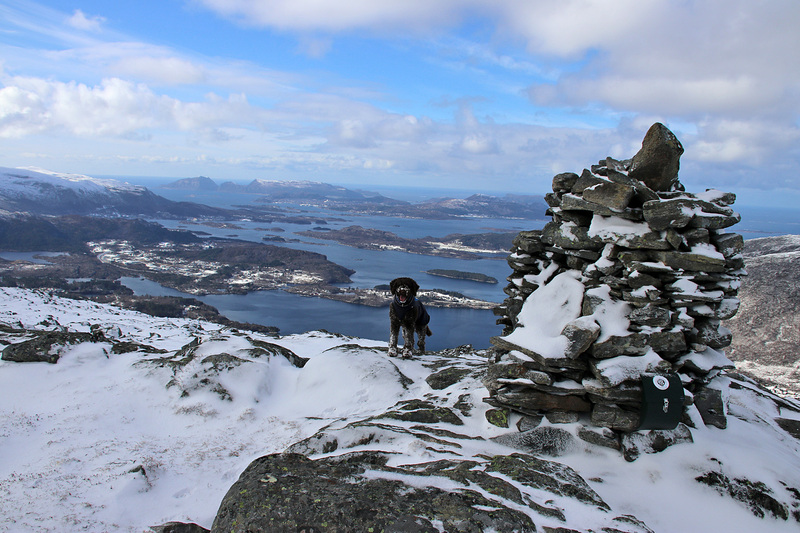 Yes, it’s a low hill, but the view towards Ålesund is mighty nice! 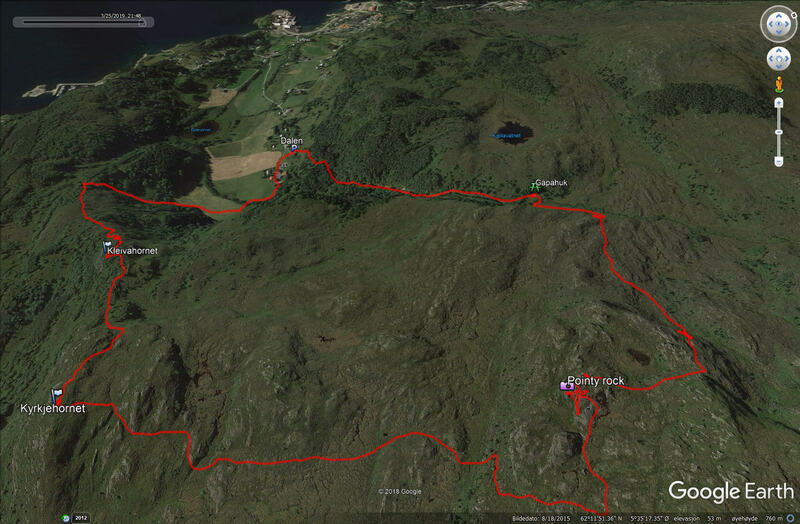 Wednesday: Today, I decided to drive to Gjerdsvika on Gurskøya island and hike up from “Botnen“. 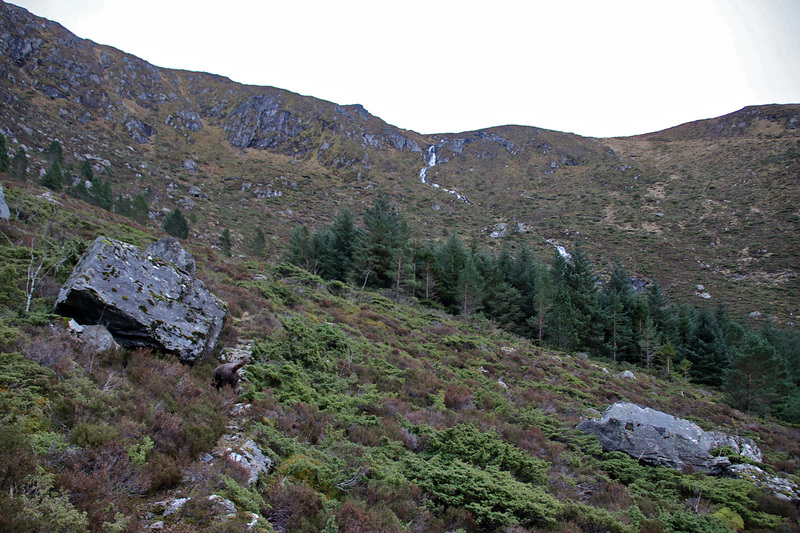 I’ve hiked up this valley before, so I was really looking forward to it. It didn’t rain for a change, so that was huge positive factor! 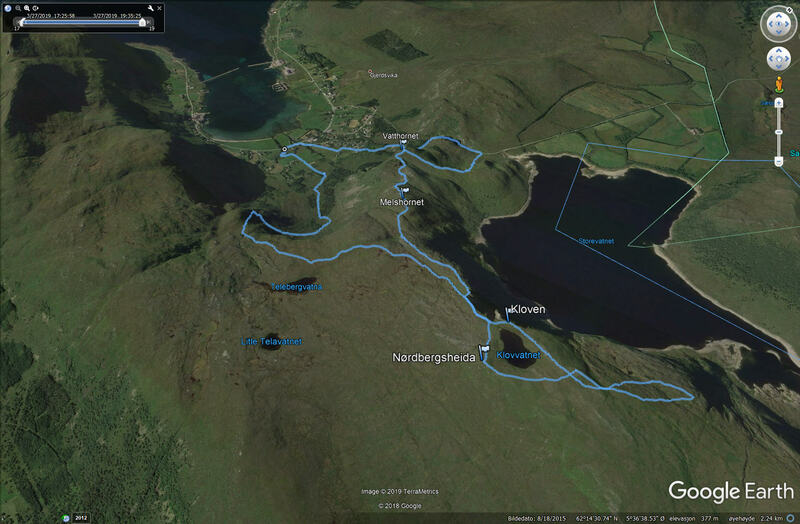 The path up from Botnen was wet but gradually better the higher we got. I was a little confused with the direction, because there were only steep cliffs above us. 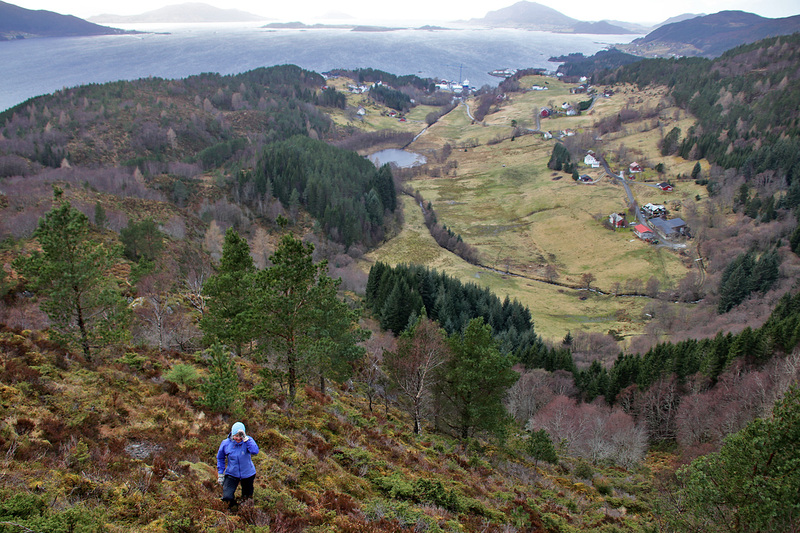 But after a while, I realized that the path would take us to the other side of the valley and that we would cross the creek from Telebergvatna. 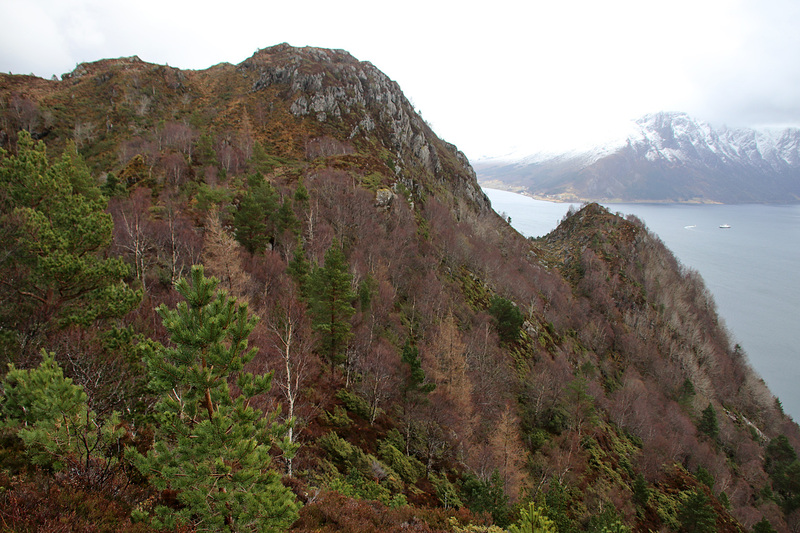 Once above the valley, we got to a fork where we could choose to go to Gjøna, Haugshornet or Nørdbergsheida. I chose the latter. 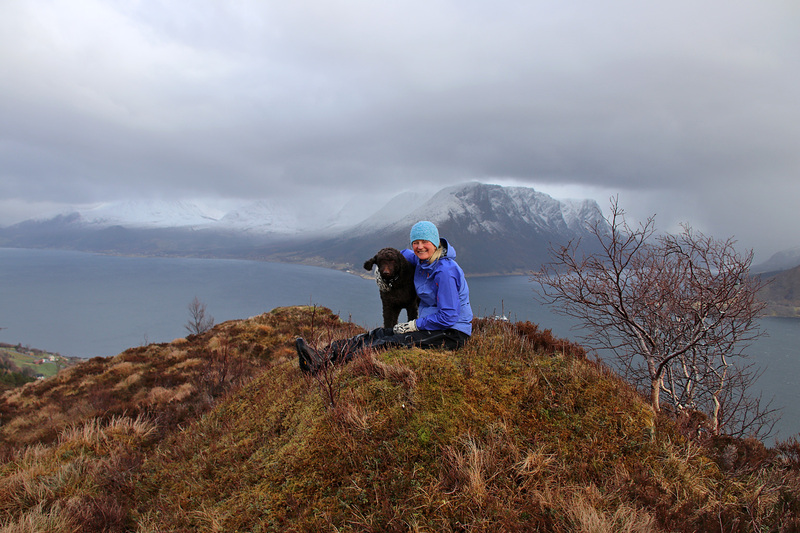 The plan was to repeat a route from 2017, where Anne and I descended from Nørdbergsheida to the east end of lake Storevatnet – which we crossed and hiked along the shore on the north side. After a while we got Nørdbergsheida in view. The signposts say “Kloven“, which I can understand – given the shape. The high point is on the *south* side of lake Klovvatnet. 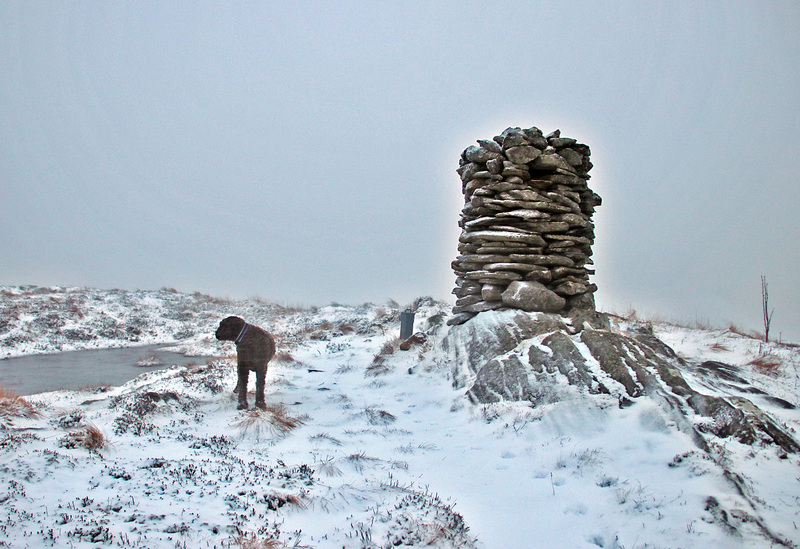 On the Nørdbergsheida high point. Storetua to the right. It was now raining a little and the wind picked up. I wanted to get off the higher part of the mountain and aimed for the lake. But after descending 100 vertical meters, I got the river in view and decided it was too much water. I didn’t want to walk for 3km around the lake with wet feet. 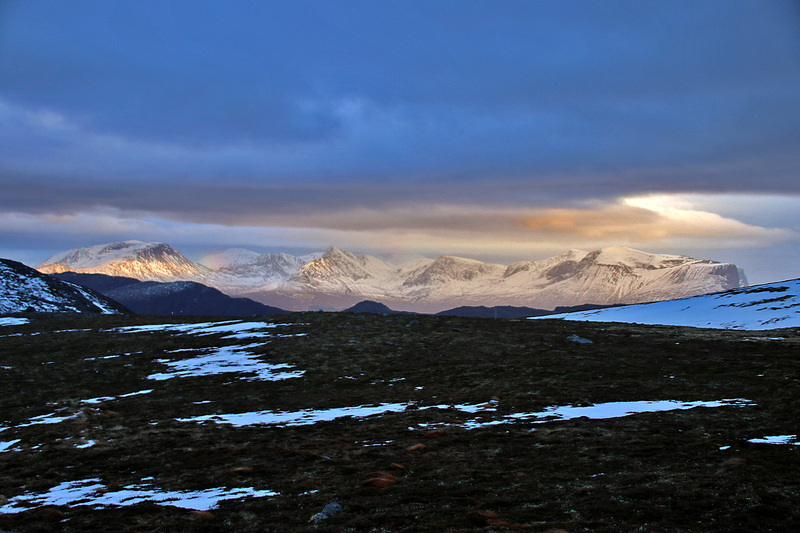 So we went back up and got a very nice light above the Vanylven mountains. 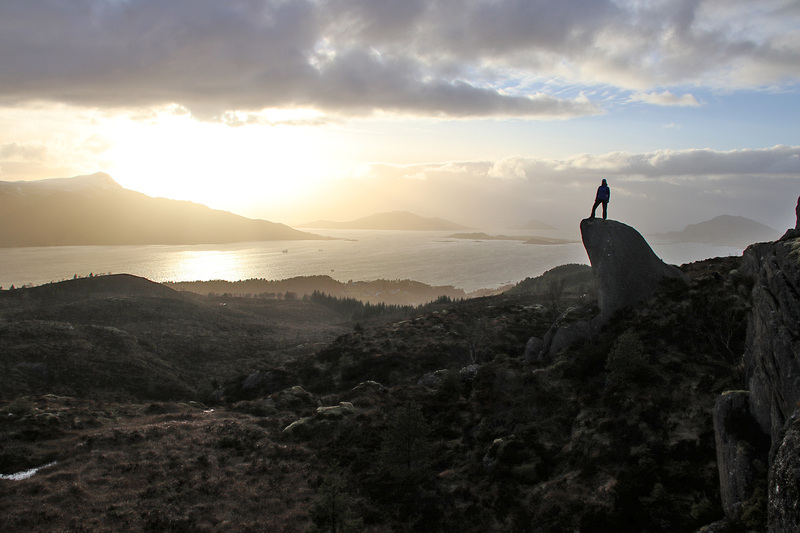 For descent, we took the marked trail across Melshornet and Vatthornet and then followed the Sædalen mountain road back to Gjerdsvika and the car. Altogether a really nice hike! Thursday: Ålesund day, and since a storm was emerging, I decided to get the fjord crossing over with before going on a hike. I just hoped that I could make it up and down before the rain came. 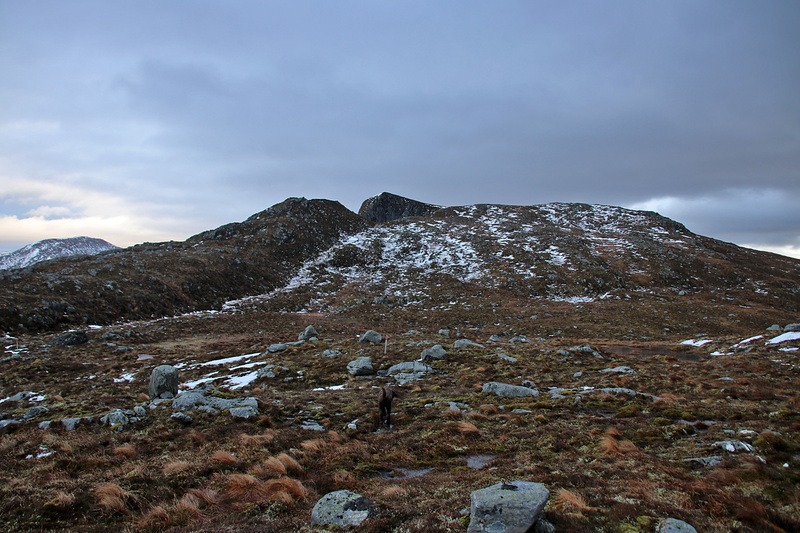 I chose Skafjellet in the Hareidsdalen valley, as you can get to the top real fast. 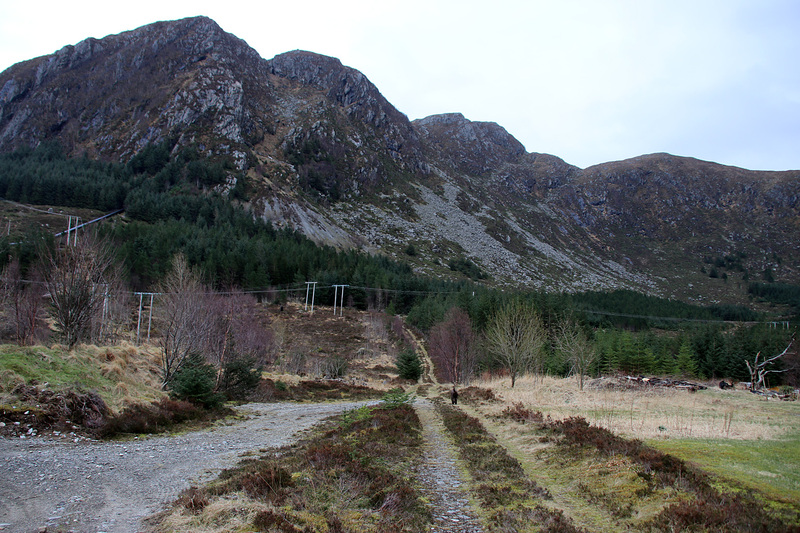 First, along a tractor road taking you up to 440m, and then along a neat path up to the high point. And even without rain, Karma seemed slightly uncomfortable. And we made it back down before the rain came. 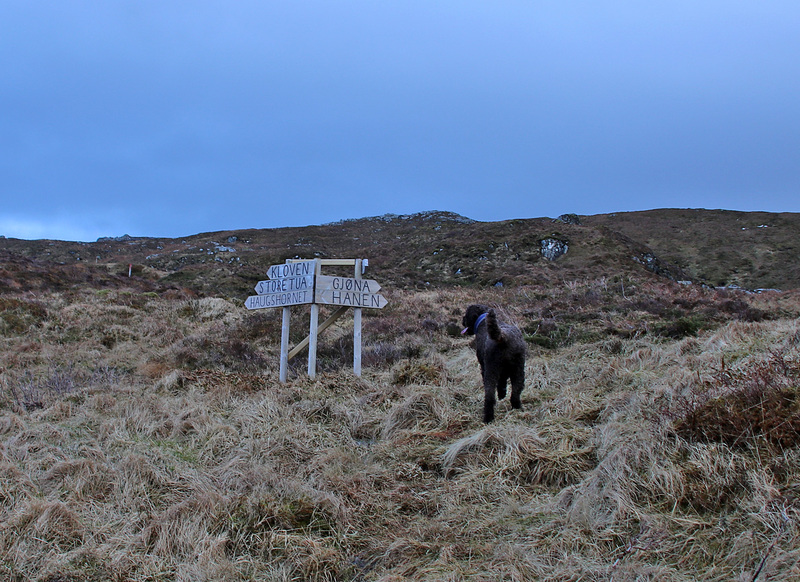 Not a very memorable hike, but at least the dog got its walk. THAT kind of a day! 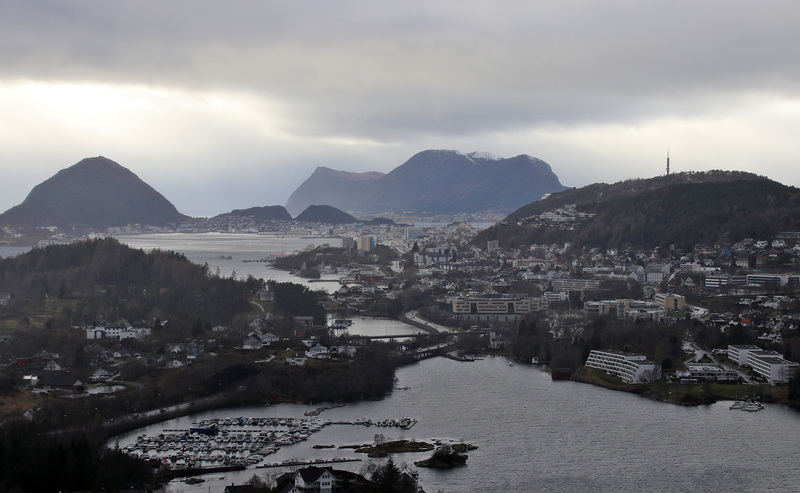 Saturday: Another day in Ålesund. Busy work week and busy work weekend. Big things happening. Come Monday, I am officially a Kongsberg Maritime employee, after Kongsberg acquired Commercial Marine from the Rolls-Royce group. I didn’t go on any hike on Friday. The weather was awful, and I just wanted to go to bed early, as I had to get up on 5am on Saturday. The weather was quite OK during the day, but when I left work, it started pouring down. The motivation for going hiking vanished by the minute. 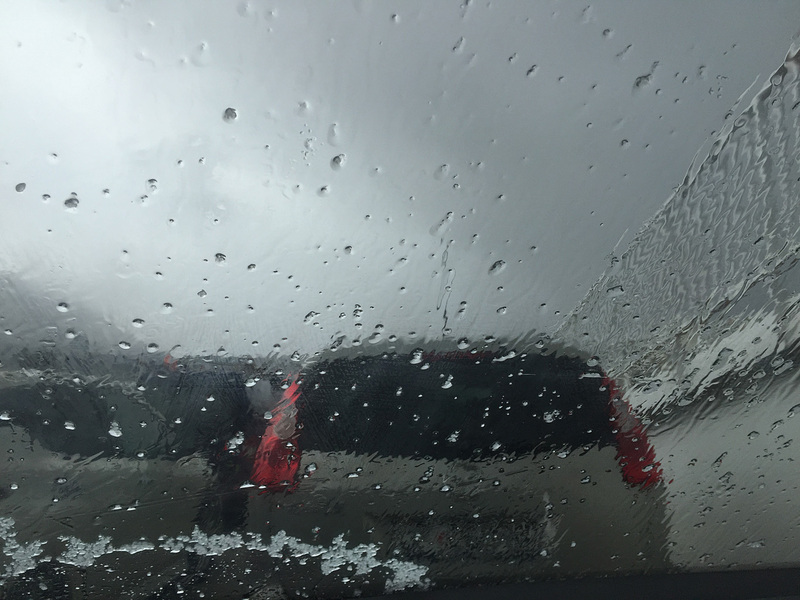 When I got onboard the ferry, it started hailing. Motivation dead and buried. When I got home, I was a shipwreck. I just laid down on the hallway floor while Karma watched me. It was impossible to tell whether her eyes signaled blame or understanding. But after half an hour I was able to pull myself together and I told her that we would head for Gyrinakken. When we left the trailhead, it was just snowing light. Quite OK weather! 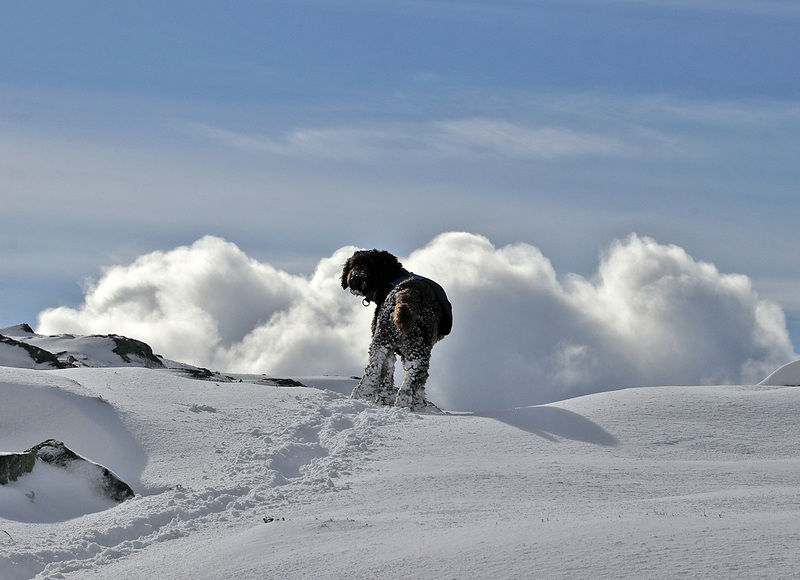 But when we got to the top, the snow was whipping Karma’s face and her entire body. Good thing it’s been a while since I gave her a haircut. She seemed to survive. On the way down, we took the trip across Byrkjeåsen. 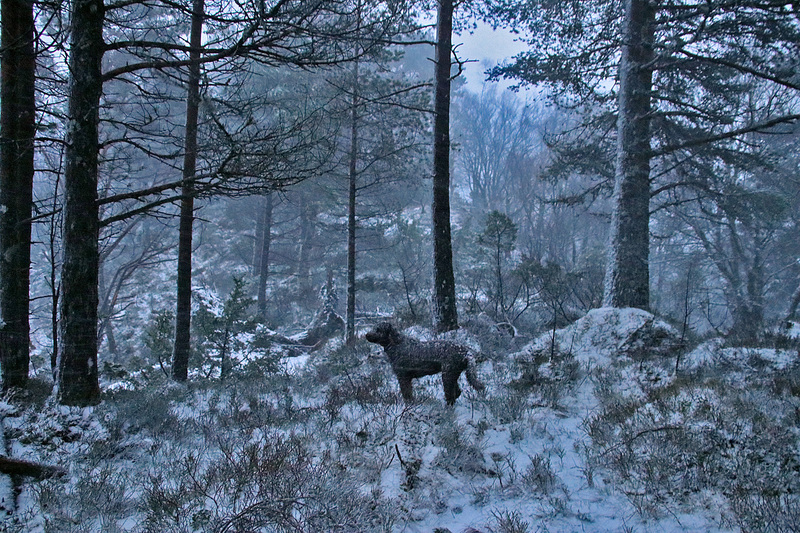 Even in the forest, the weather was pretty nasty now. But oh, how nice it was to get back home and knowing: a) I could work from my home office on Sunday, and b) I had a cold beer (or two) in the fridge. Sunday: Working from home today. Fortunately, the weather was not good and so I didn’t get distracted. Closer to 3pm, I was wrapping up my work and prepared to take the dog for a walk. 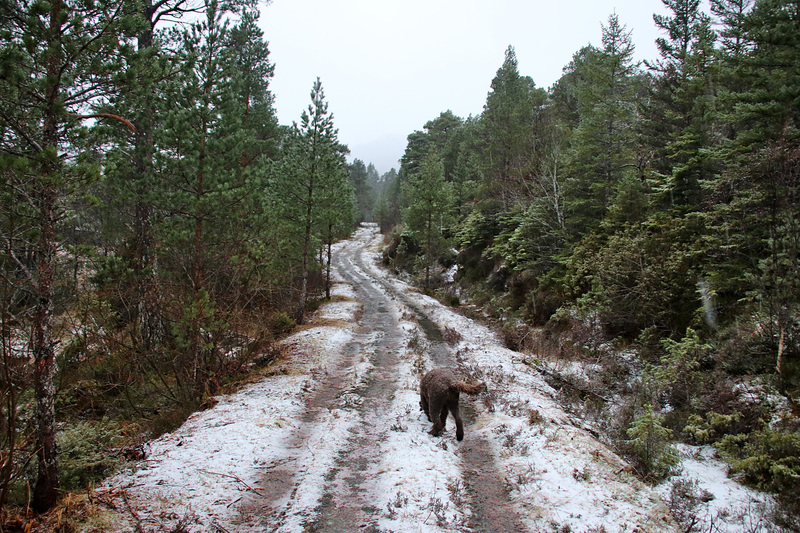 It was tempting to choose a forest hike, in shelter from the wind and hail. But as the hail came in showers, it was also tempting to play “hide and seek” on one of the higher mountains in this region. So, I chose Haddalshornet. 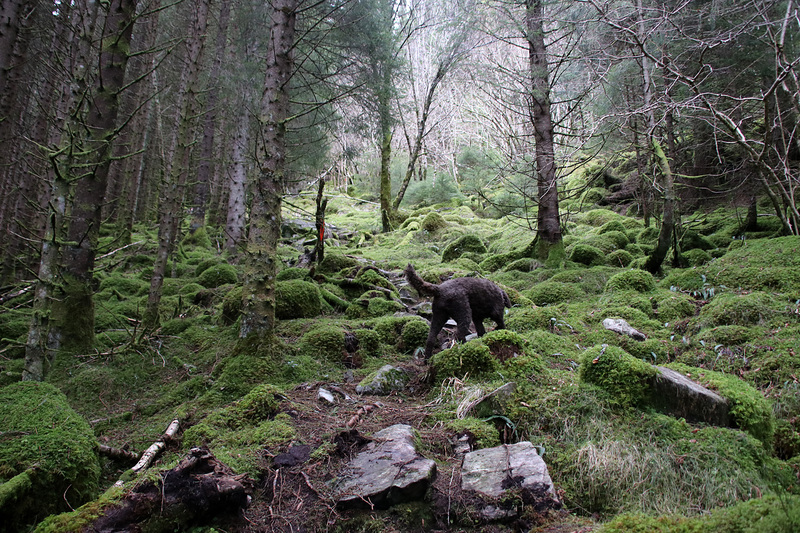 The forest ascent would be fairly sheltered from the weather. 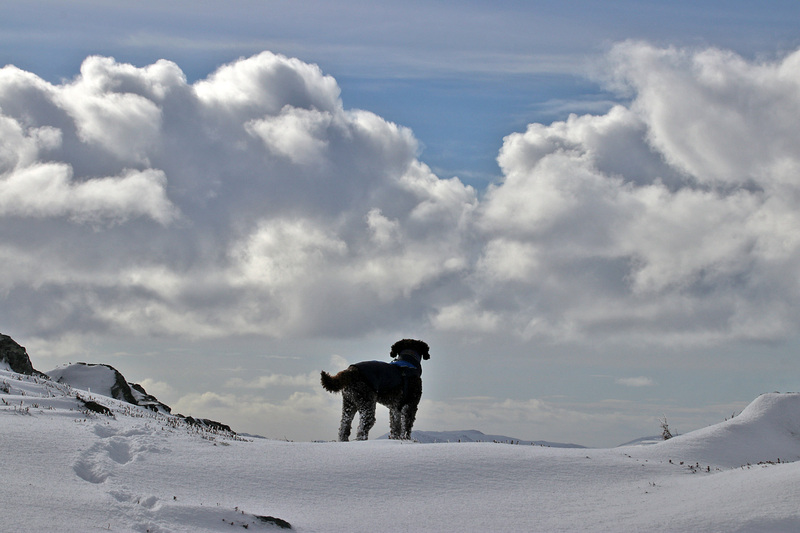 Then my plan was to seek to the high ridge once a hail shower came along. The hail isn’t the problem, it’s the wind. So the idea was that if I was on the ridge, We could find some shelter on either side of the ridge, depending where the wind came from. This sounds a bit dramatic, and I’m always well dressed for a good hail shower, but the dog isn’t. 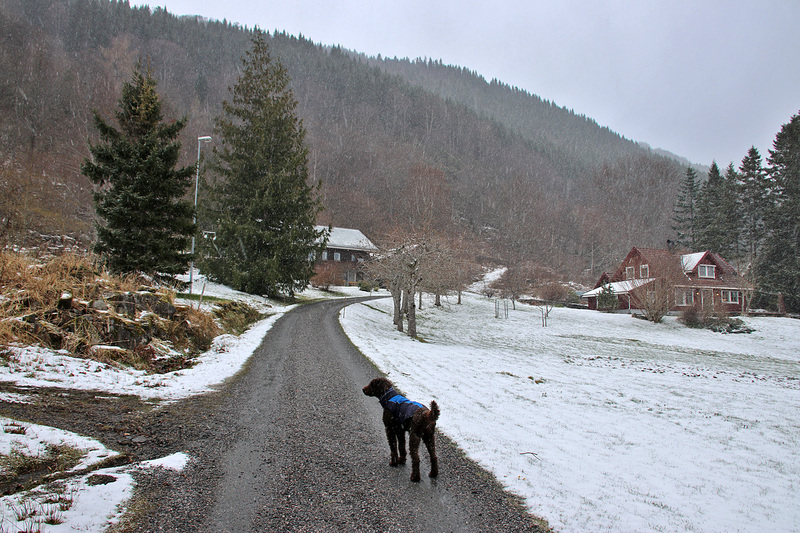 When we got to the Havåg trailhead, it was snowing. The hike up the forest was nice and I was curious about the weather on the mountain. I’m not trying to make a 600m top sound like Mt. Everest, but it can get pretty wild up on the coastal mountain tops. 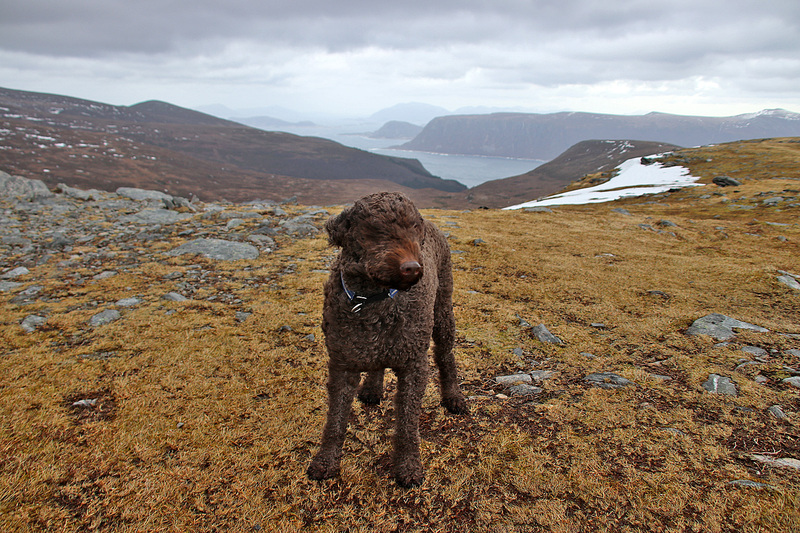 But today, “the Himalayas” of Hareidlandet island wasn’t wild at all. 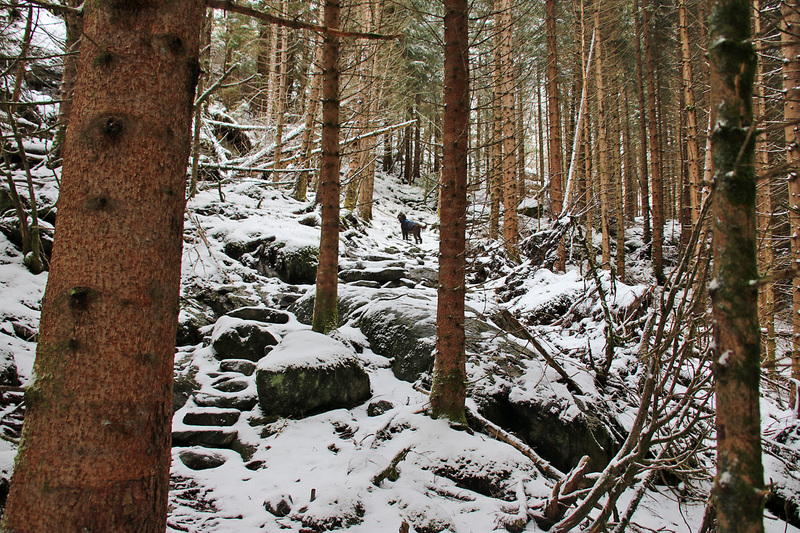 The weather changed during my ascent, and when we rose above the forest, it was just a gorgeous day. Here, that is. 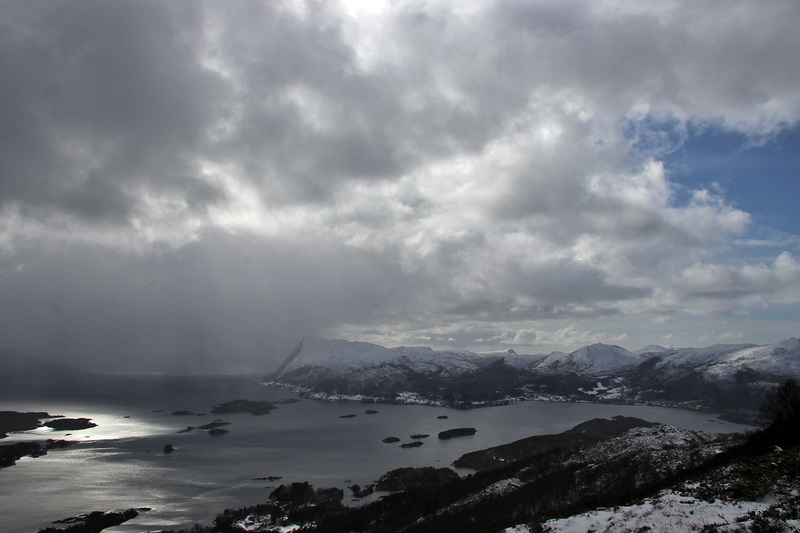 I could see showers hitting on Ørsta and Volda, and I don’t think it was too pleasant in the Sunnmøre alps either. 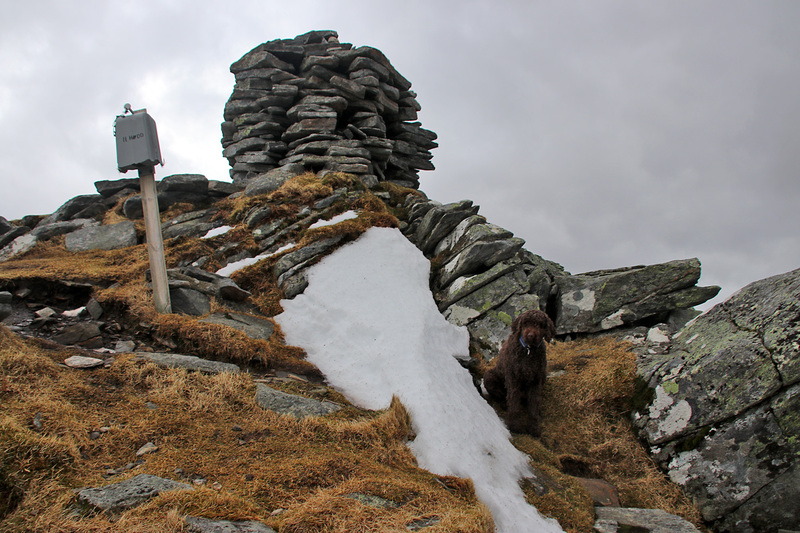 It was however quite pleasant to reach the top of Haddalshornet and enjoy blue sky! 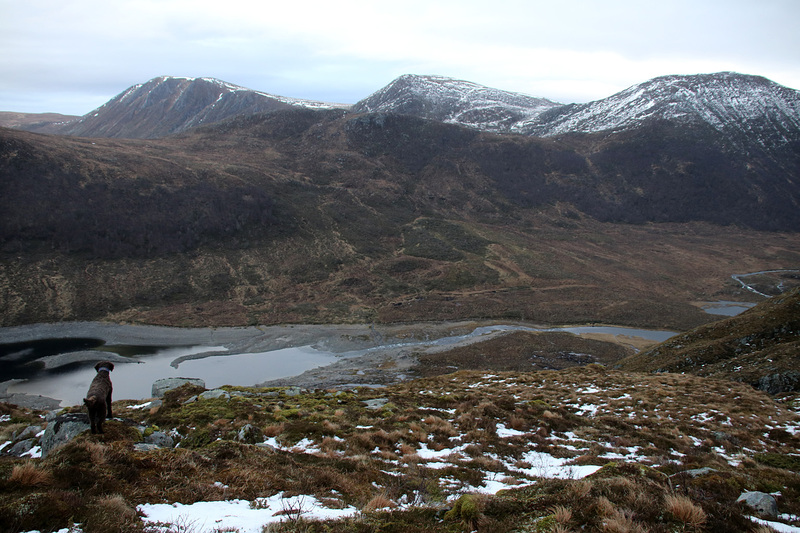 I decided to make a round trip hike and we descended along the southwest ridge. 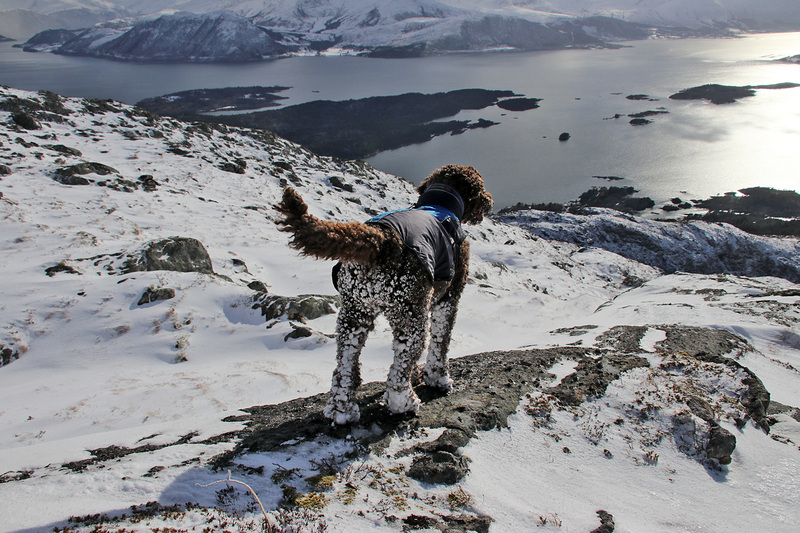 It was SO nice to walk this ridge with the fresh snow. I was happy, the dog was happy and life just couldn’t have been better! 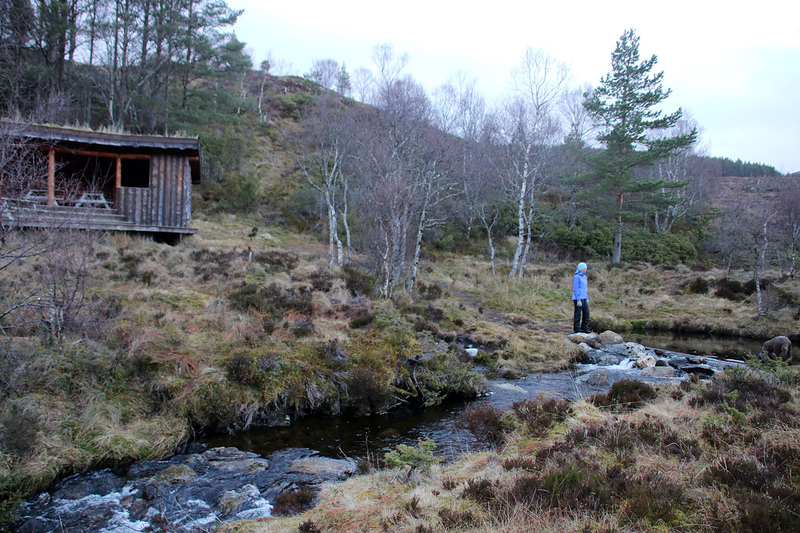 Well, it would have been nice to have my girlfriend along, but she was in Sogndal – busy with her writing project.